What research and expertise are influencing Power to the Profession? The Institute of Medicine’s seminal report supports building a workforce unified by the science of child development and early learning and the shared knowledge and competencies needed to provide consistent, high-quality support for the development and early learning of children from birth through age 8. 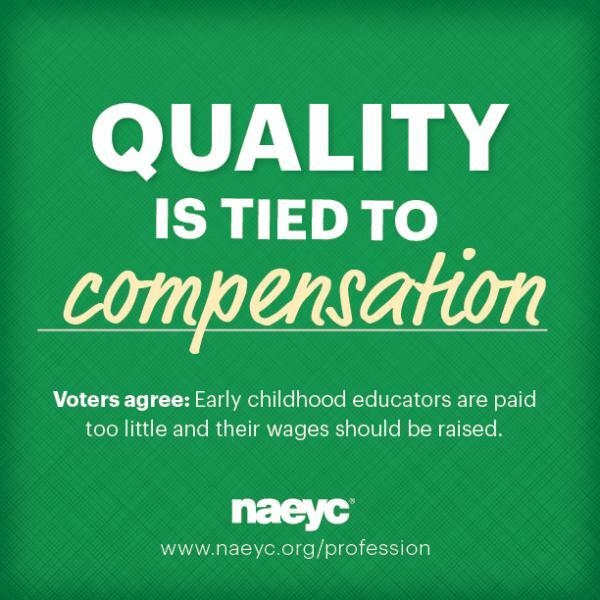 NAEYC has conducted multiple rounds of market research over the last three years that deepened our collective understanding about the perspectives of American voters, parents, and educators themselves about how to advance and support high-quality early childhood education and the early childhood education profession. This research has been led by a bipartisan team of FM3 and Public Opinion Strategies, and generously supported by the Richard W. Goldman Family Foundation. From the beginning, Power to the Profession has been clear in its goal of creating a unified framework for early childhood educators working with children birth through age 8. But with our fragmented profession, when we consider the role of educators in kindergarten through third grade, we wanted to know the answers to everything from "Do K-3 educators feel like early childhood educators?" to "What do they value most from their professional preparation–and what do they think is missing?" This round of research yields findings about these questions and more: what it means to these teachers to be an early childhood educator; what it takes, in terms of their professional preparation and ongoing support; and how they feel about deepening connections between K-3 and 0-5 educators. Read the Executive Summary and Press Release; listen to the Webinar Recording; and download the slides to learn more! Read more about this project and what you can do in your state. We have the science and evidence to demonstrate why we should be investing more in high-quality early childhood education. Yet we also continue to have an underfunded early childhood education system and an unsustainable market in which parents can’t pay any more and educators can’t make any less. How do we change this? How do we ensure that parents and early childhood educators are on the same side of defining and demanding high-quality early childhood education? This round of market research helped NAEYC explore three critical and interrelated issues: (1) How parents and educators think about quality in early childhood education; (2) How and whether their understanding of quality influences their choice of an early learning program, either as a place for their children to be cared for and educated, or as a place of employment; and (3) How their personal stake in the issue of early childhood education translates to their appetite and capacity for civic participation that advances the issue. To learn more, download and read the Executive Summary and Press Release, listen to the Webinar Recording and explore the slides. 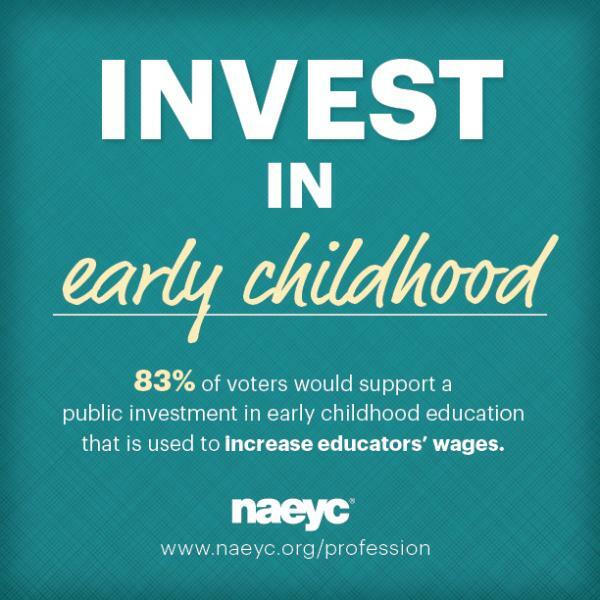 In 2015, NAEYC’s research highlighted widespread support for making investment in the early childhood education profession a national priority. 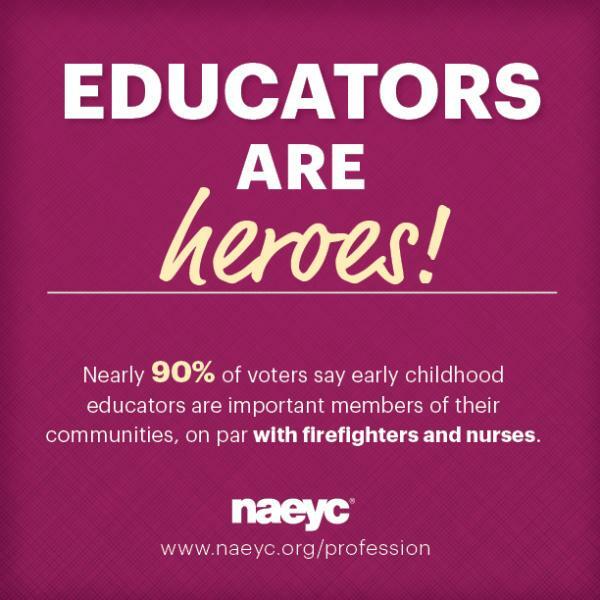 To learn more about this research, download the Executive Summary, the Press Release and the Key Findings, and read more about NAEYC’s Next Steps. You can also check out media mentions from Education World, the Huffington Post, EdCentral and Education Week.